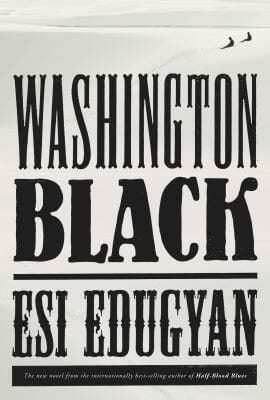 Washington Black is an eleven-year-old field slave who knows no other life than the Barbados sugar plantation where he was born. When his master’s eccentric brother chooses him to be his manservant, Wash is terrified of the cruelties he is certain await him. But Christopher Wilde, or “Titch,” is a naturalist, explorer, scientist, inventor, and abolitionist. He initiates Wash into a world where a flying machine can carry a man across the sky; where two people, separated by an impossible divide, might begin to see each other as human; and where a boy born in chains can embrace a life of dignity and meaning. But when a man is killed and a bounty is placed on Wash’s head, Titch abandons everything to save him. What follows is their flight along the eastern coast of America, and, finally, to a remote outpost in the Arctic, where Wash, left on his own, must invent another new life.